Planning strategies focused on bringing people together to cross pollinate ideas, increase efficiency and collaboration in a multi-discipline work environment. 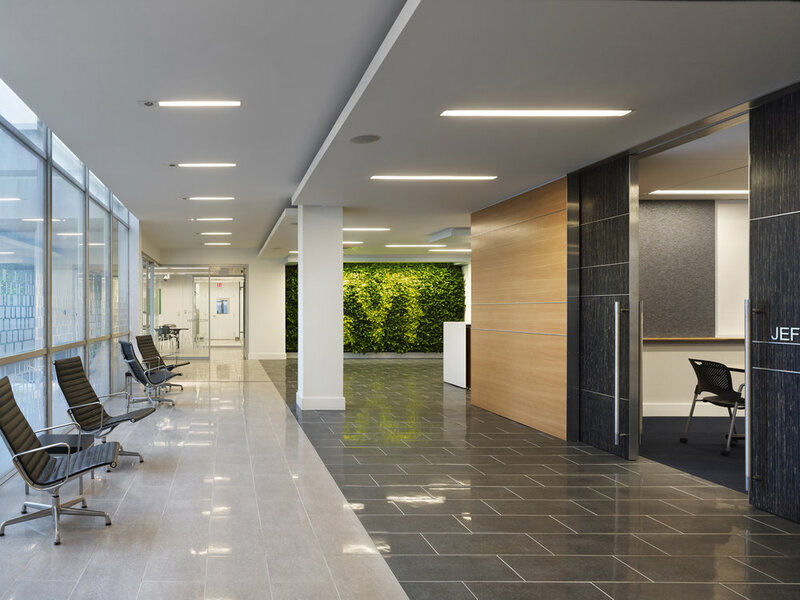 This interior ft-out project was for the EMD Chemicals Performance Materials Division, creating a 30,000 SF Technology and Customer Center at One International Plaza near the Philadelphia airport. The facility houses both a “corporate zone” for customer service and sales functions and a dedicated “laboratory zone” with R&D and laboratory facilities. Programmatic elements include offices, workstations, a conference center, employee café, laboratories and training space. 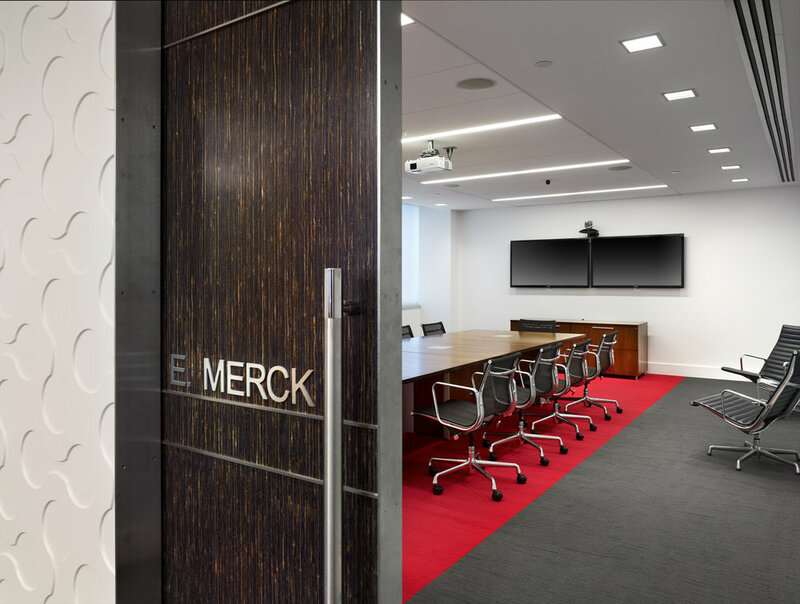 It was important to carry the design vocabulary throughout both the corporate and laboratory zones, and the design focuses on a continuity of language between the spaces. The plan encourages collaboration between the administrative/sales and technical laboratory staff around a central hub area designed for training, conferences, and events. With a very narrow plan, views were made available in all directions and glass partitions result in both transparency and daylight-fooded spaces. Workstation panels were eliminated or made transparent to further open up the space. Typical high cabinets were not used in the laboratory, with all equipment and low cabinetry placed in the center of the room allowing unobstructed views to the perimeter.